When I went to Fibre East in the Summer (doesn't that seem like forever ago?) the very first purchase I made was from Kettle Yarns Co. I intended to buy yarn to make Pebble Beach Shawlette by Helen Stewart of Curious Handmade and wanted to get the recommended yarn Westminster. However, I fell in love with a skein of Islington instead. 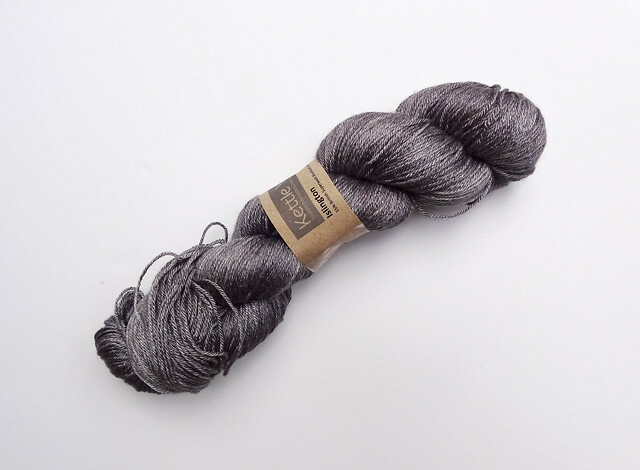 This skein is 400m of 55% Blue Faced Leicester (BFL) and 45% Silk in the colourway Old Smoke. It is glorious yarn and I decided it would still work wonderfully with Helen's pattern. I actually cast this project on fairly soon after blogging about the event and I can't believe I haven't shown you the results of this knitting endeavour. I think I might have been waiting to take "good" photos, but as I decided to stop waiting for that to happen I will share the "not so good" photos of the project. 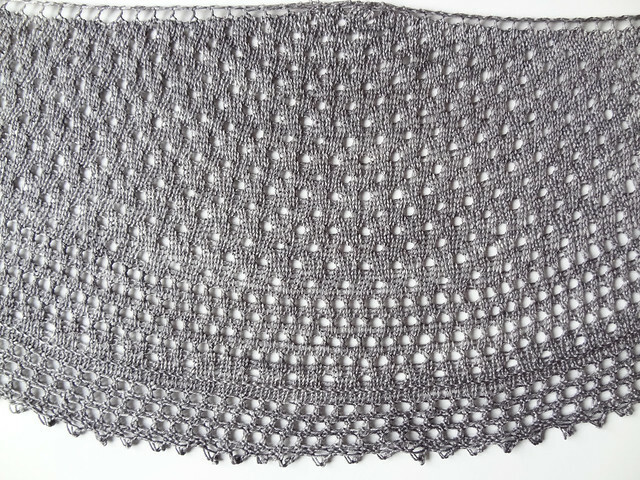 It should give you a good idea of how lovely the yarn is and how good the pattern is. The pattern, like all of Helen's, is excellent. Everything is laid out clearly and explained carefully. There is a checkbox system where you can mark off what you have knit and it tells you have far you have come in your shawl knitting (I love that Helen does that). The knitting was a fun and enjoyable experience, but before I go started the yarn didn't play ball. It was a NIGHTMARE to wind. It took hours to wind this one skein of yarn. It wasn't secured very well and it had managed to get all knotted up. I may have had a little moan on Twitter about this, and found several other people had the same experience I was having. The yarn is worth all the untangling, however, it would have been much better if I'd not had to spend and entire afternoon on the job. You can see how beautiful the yarn is in the above photo. It has an amazing sheen to it. It also drapes incredibly well. It is so soft to the touch I would normally fear that pilling would be instant, but as I've worn this time and again, since it was finished in September, there has been no sign of wear. I think this is down to the multiple plies and the BFL content, which is a strong and pill resistant fibre, that is also soft and silky to the touch. 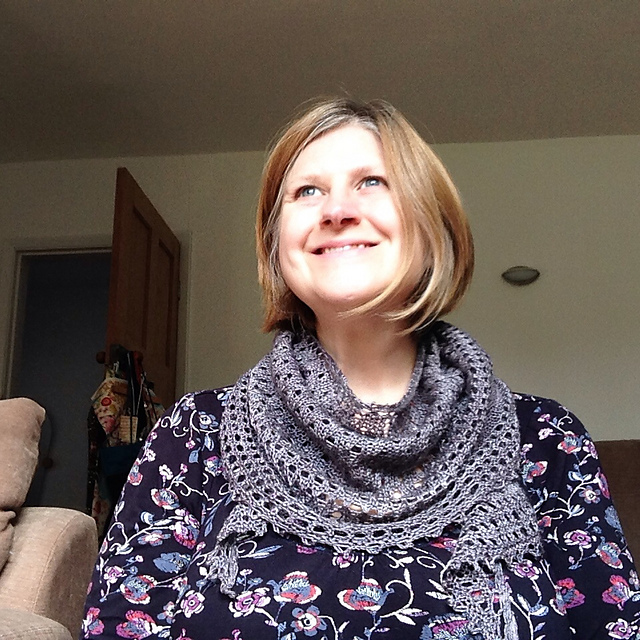 I loved knitting this shawl. I loved the process from the moment I cast on. I have worn it a lot. It's a great neutral colour and it has definitely made me think about getting more neutral knits in my wardrobe, as they are so versatile. It really does go with everything. 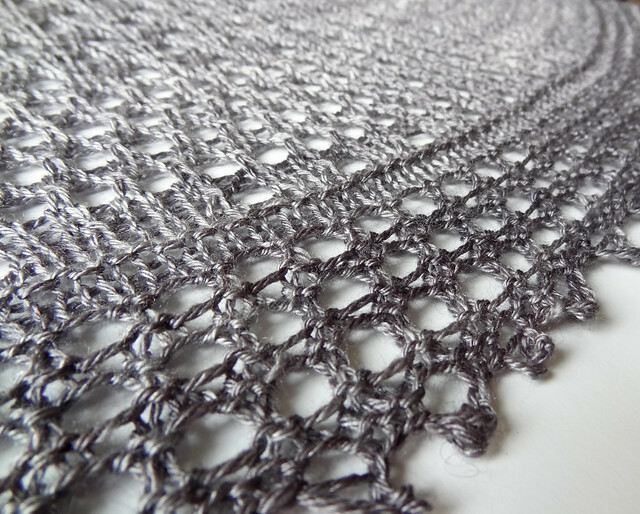 It is soft and warm around my neck and the eyelets make the yarn stretch to a decent size, so that it covers some of my lower cut tops. 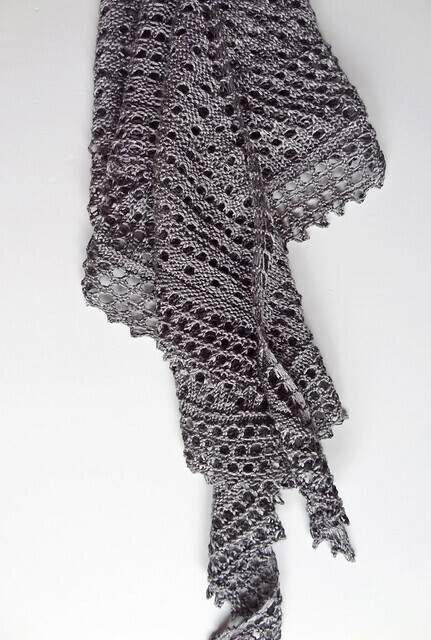 The shawlette feels and looks dressy, but it is casual enough to wear every day. I really am delighted with this project. 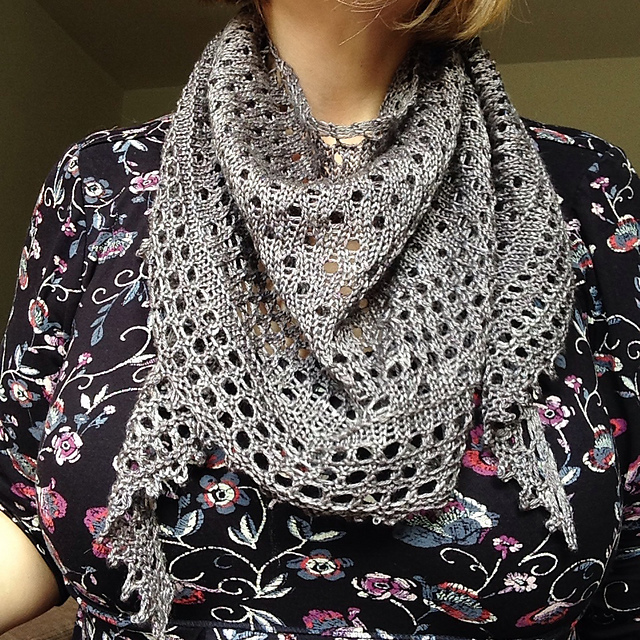 I will probably make another version of this pattern, but maybe that one will be in a less neutral colour.